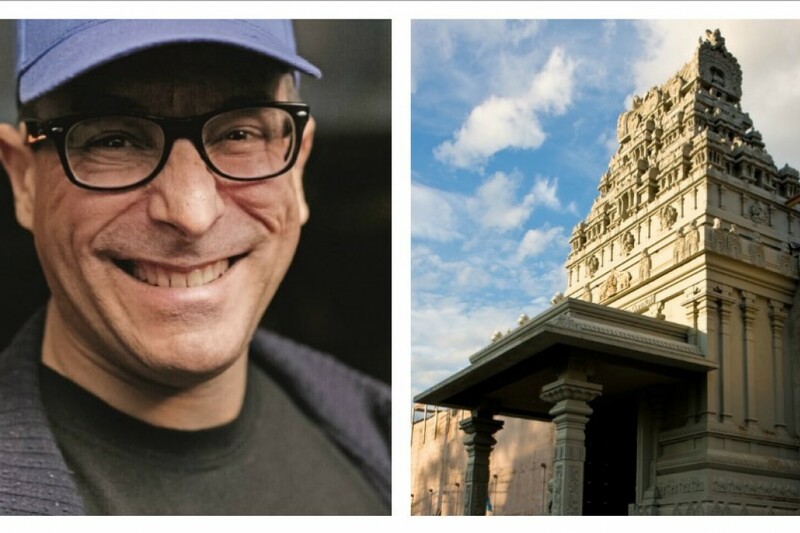 Joe DiStefano and Queens's Ganesh Temple, hub of the New York Hindu community. New York native Joe DiStefano is an authority on Queens' diverse culinary scene. On his blog Chopsticks and Marrow, he samples dishes as varied as Indonesian sushi rolls and Uzbek stew. 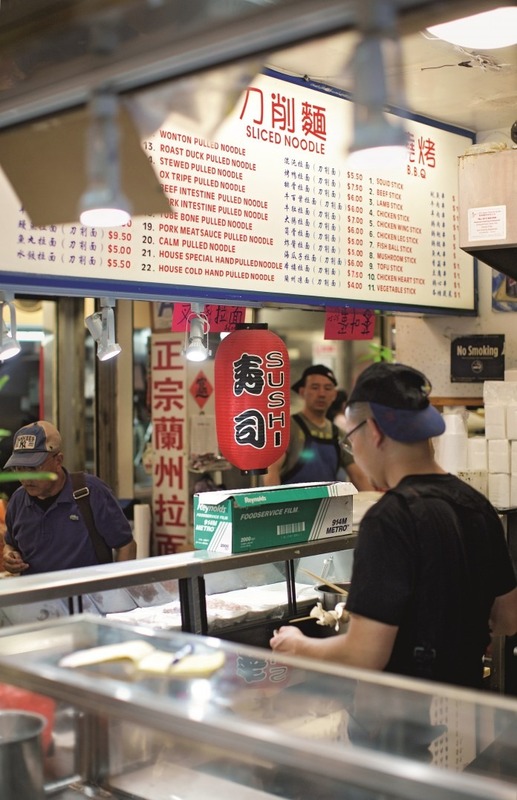 He also leads food tours of Flushing's Chinatown and Jackson Heights' Himalayan community, and he was featured in the Queens episode of Andrew Zimmern's Bizarre Foods America. Now DiStefano has expanded his view of the borough with 111 Places in Queens That You Must Not Miss, a guidebook that he describes as "an invitation to fall in love with Queens." Entries introduce readers to corners of Queens both well-known and obscure, from a taxidermy shop in Cypress Hills to the grand architecture of Jackson Heights' historic district to a bocce court in Corona, and much more. 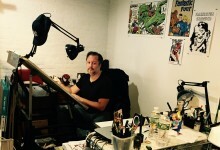 We spoke to DiStefano to learn more about what he discovered in writing the book, and where he'd recommend both longtime New Yorkers and total newcomers visit in the borough. How long have you been living in Queens? I've been living in Queens since 1998, so going on 20 years. I live in Rego Park right by the border of Forest Hills. What do you like about the neighborhood? 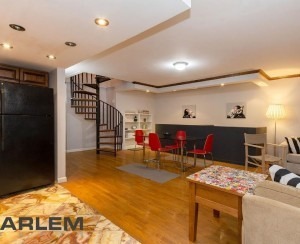 It's very affordable, and it's only a short subway ride away from one of the most diverse and interesting neighborhoods in Queens, which is Jackson Heights. I also love that that it's so close to Forest Hills Gardens. I love all the architecture over there. Plus, the Ramones came from this neighborhood. And how did you come to write this book? I've been writing about food, and by extension, culture in Queens, since about 2002. You could say I came to it through that. My editor, Karen Seiger, found me and thought it'd be a great fit, and I learned a lot through the writing and research for it. Since you're primarily a food writer, did you find it challenging to limit the food-related entries in the book? I did have to take about 50 food things off the list. There's a lot of great food in Queens. But we came up with a list that has a good balance of food, religious institutions, landmarks, pure quirky local interest stuff, athletic venues—all sorts of things. 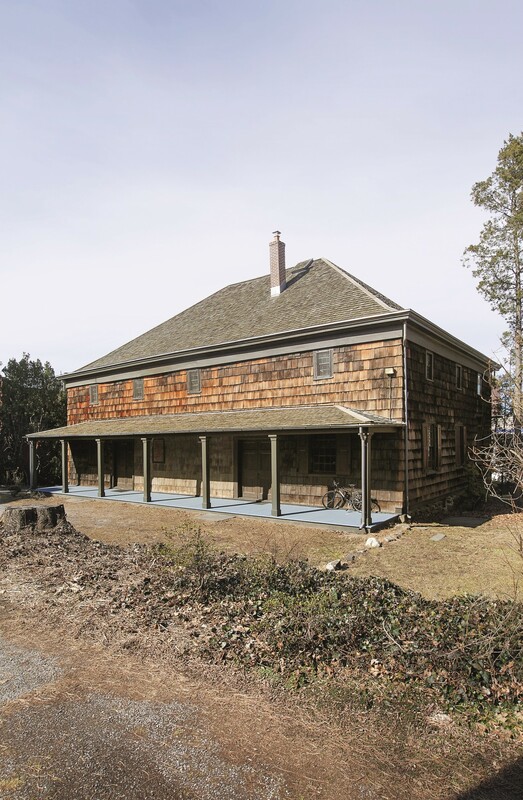 Queens can also be represented by the Old Quaker Meeting House in Flushing. Queens is the birthplace of religious freedom and the birthplace of punk rock. The Ramones used to hang out at a co-op not far from me, and their hangout has been commemorated by a wonderful graffiti mural. That's something I pass every day. Were you surprised by anything you discovered in your research? I was very surprised to learn that Rabbi Menachem Schneerson of Chabad Lubavitch is buried in Cambria Heights, Queens. There's a grave site there called Ohel Chabad Lubavitch, and it's a sacred site where people come and write prayers and read them in front of the rabbi's grave and his father-in-law's grave. It's quite a moving experience, and I was surprised by that on many levels. And what are some of the places to eat that made it in? The whole concept behind this series of books is that it's guided as much for locals as for tourists, so the selections really have to stand out. That's why I included places like the Golden Shopping Mall in downtown Flushing, which is the oldest Chinese food court in what what I consider to be America's greatest Chinatown. And places like Lhasa Fast Food in Jackson Heights. What makes this special is it's tucked away behind a cell phone store. In Astoria, we have Muncan Food Corp, a wonderful, old-world Romanian butcher and producer of charcuterie. The book has chapters, and at the end of each one there's a tip, so that was a good way for me to sneak in other food venues. For the Louis Armstrong House chapter, for instance, I suggest that you treat your fellow jazz fans to Mama's Backyard Cafe in Corona. So I tried to get as much food in there as possible. Which spots would you recommend to newcomers to Queens? 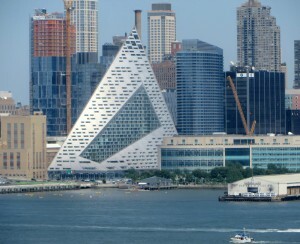 Rather than send people to far-flung places, I would say start with Gantry Plaza State Park in Long Island City. There are great views of the water and lots of history there. In downtown Flushing, check out the Old Quaker Meeting House and the Ganesh Temple, which is the cultural and spiritual heart of the Hindu community in Queens. Visit Jackson Heights because it is the most diverse part of the borough. There's a historic district with really lovely architecture, and the first cooperative garden apartments in the United States. You can see the Spanish and Romanesque detail on the buildings. It's also a real hotbed of diversity, with places like Butala Emporium, a store that celebrates Indian and South Asian culture where you can buy everything from a three foot high statue of Ganesh to an Indian lunchbox. You'll pass Mexican grocers as you wind your way down Broadway toward Elmhurst, and you can visit the Wat Buddha Temple, which is a Thai Buddhist temple, and of course there's great Thai food nearby. Oh, and Scrabble was invented in Jackson Heights. It's commemorated by a street sign on the corner of 81st Street and 35th Avenue. Some Queens residents are concerned about the increase in attention the borough is getting these days leading to higher prices and displacement. Do you share those concerns at all? The character of a neighborhood can be quickly lost amid all those residential towers. There's a lot of development in Flushing, but there's still going to be a wonderfully vibrant street food culture there. And I guess some people are being priced out. I think maybe it will happen in Astoria and Jackson Heights, but I look at real salt of the earth communities like Maspeth, the Rockaways, Ridgewood, Glendale, and I think places like that will continue to maintain their characters. It's been that way for decades.